The Fall of Saigon marked the bitter end of the American War in Vietnam and the loss of a homeland for hundreds of thousands of Vietnamese people. We share stories of the chaotic withdrawal of U.S. troops, along with heroic rescues and harrowing escapes of Vietnamese citizens. Then we take a glimpse into post-war life under communist rule in Vietnam. 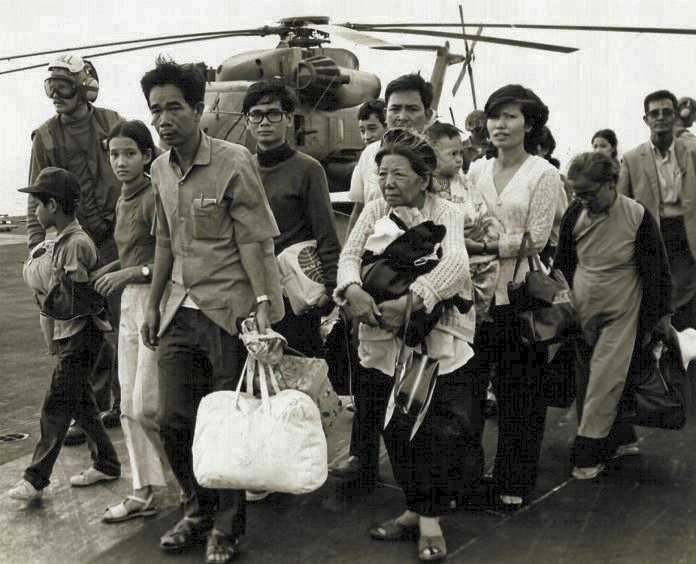 Some of the Vietnam War’s most enduring legacies are the Vietnamese communities of America, made up of refugees who arrived en masse after the Fall of Saigon. In our final episode, we explore how these communities became a key to economic success for refugees, and how many still grappled with the complexities of gratitude, guilt, and silence. Members of the next generation share the delicate balance of growing up as both Vietnamese and American, and discuss immigration in the U.S. today.